Am I a writer? I would say that I am still in the stages of discovering whether my writing has any value or impact for others, but I enjoy it. Writing is my way to get in touch with God. I start with a prayer for guidance, and then open His word and let my heart and head drift through the teachings, filling me with hope, conviction, awareness, joy and greater surrender. My writings are simply an attempt to record the thoughts and feelings that God brings to the surface of my awareness. Humbly (I hope) I will confess that each “like” and “follow” does add to my confidence, but the jury is still out on whether my ego won’t try and pervert this pure endeavor to share transparently my personal journey of redemption with whomever wants to come along for the ride. So, where did my writing begin? As I reflect on my childhood, getting lost in writing short stories was a great way to escape the unfortunate pains of my reality. Growing up in a godless, angry, alcoholic household with physical and emotional abuse the norm, I discovered that I had a wonderful imagination and loved to spend more time there than present in the real world. I was maybe 6-8 years old, but some of the stories I recall was my own version of The Sword in the Stone, My life as a Flea and My Gramma’s Garden. I remember laying on the kitchen floor while my mom cooked dinner writing away the hours, completely submerged in my fantasy world. Fast forward 40 years, a lifetime spent in addictions, in pursuit of riches and glory through career, filled with selfish exploits of extravagant vacations, nice cars, and plenty of big-boy toys. By all accounts my life was a great success, but inside I was dead; something clearly was missing, something was wrong. I was drowning in a bottle of tequila a night and beginning to believe that if I died nobody would miss me until the smell of my corpse alerted a neighbor. But somewhere inside I know that God has had designs on me from the beginning. My whole life I have always had a poster, a plaque, or even a typewritten page with the poem FOOTSTEPS hanging on the wall. Even though my parents were atheists, and I had no Christ-loving mentors, I always sensed there was more, there was order in the chaos. There was protector, a designer, a purpose. That didn’t prevent a lifetime of misdirection and pain-inducing poor choices, but as it is written, God can use everything to His glory. I believe that is what He is doing with my life, all of my life, including the dark years. On January 3, 2011 after a 3 day New Year’s binge I awoke broken and hopeless in a campground near Big Sur, California. I wandered into the woods, bible in hand, dropped to my knees near a stream under a canopy of coastal redwoods and cried out to Jesus like I never had before. I had cried out to Him many times over the years in a desperate plea for Him to fix me prior to that day; something like please God take my pains away. But I never cried out in true surrender. That morning I did just that, I had reached the end, I was done. By His mercy alone He heard me, and responded. Since that day nearly 2.5 years ago I have been completely sober from drugs and alcohol and on fire for Christ. Trust me when I tell you, I still have my struggles and shortcomings, but God in his infinite patience is loving me through this journey of redemption. Almost immediately since that day I began journaling. Every secular book or counselor I paid over my lifetime to fix me had all said that journaling was a great tool; so I purchased a computer program that helped manage my every once-in-a-while, then weekly, then daily journals. I found my thoughts and passions exploding onto the pages. They became elaborate letters to God, seeking to unravel the pains and resentments of my past and a guarded journey into the spoils of my own darkened and hardened heart. I have always believed firmly that God will never give you more than you can handle, I just never realized that in the truest sense of the word that means he won’t reveal the darkness of our own heart more than our level of understanding of the true meaning of the Cross can cover. Over the months, my heart poured into that journal, and for some unknown reason I began emailing the entries to those whom I now call my brothers, men that were in a 10 month Celebrate Recovery Step Study class with me. We became know as Band of Brothers to the others in Celebrate Recovery, and my writing was given a name. Band of Brothers Devotional. We were growing closer in trust, and it turns out I wasn’t alone, they too were seeking healing and truth, waiting for God’s mercy to wash over our sins and they ached as I did to become the new men in Christ that God promised we’d become. I expected them to reject my babbling emails, but instead they began bringing up my topics in class, using them as discussion points, offering me words of encouragement and calling me out if I missed a day. God blessed me immensely in those early days. What started as a personal conversation with God over my inability to grasp grace, adhere to any duration of obedience to the convictions taking over my thoughts, or let go of past injustices done to me, it was now becoming a tool for healing and growth to those closest to me in recovery. From there I signed up with Mail Chimp and went to work building my readership. Of course it wasn’t really a traditional “building” of a readership (as I’m finding WordPress to be). Instead my mail list growth took the form of me signing up any friend or acquaintance in recovery who was silly enough to give me their email address (without their consent). At least there was an unsubscribe button at the bottom of the email, they could use it if they wanted! Surprisingly nobody cancelled. And to the contrary, once I created a Facebook page and linked my mail campaign to twitter I began receiving completely anonymous readers and followers! Now that was a rush, strangers actually care what I have to write about? My hideously low self image hardly knew how to handle that one. Needless to say, God has been using this platform to heal me, and my true and sincere prayer before hitting send on any campaign, blog, twit or post is that if there is any truth or hope in the words that I wrote then would God please send someone across that post to be touched by Him through it. 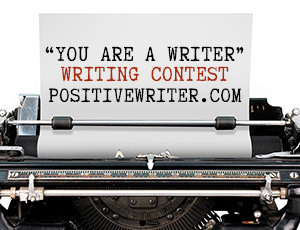 Just as He is transforming my life through the heartfelt writers of so many talented and God-loving people here on WordPress, could it be true I could participate in that? I do love this community! So do I consider myself a writer? Not by a long-shot. In my estimation I’m still just a struggling man plucked from the ashes by a gracious Savior who took way too long to wake up in life and is now realizing that all those years of suffering as a child, and the lifetime of bad choices as a adult has taken me from the gates of hell toward a stairway to heaven. I don’t know that I would be in relationship with Jesus today if it hadn’t been for the depths of brokenness that I went through all these years, but if my banging on keyboards can offer any encouragement, hope, or inspiration to those struggling to overcome their own hurts, habits or hang-ups in their own life, then my personal journey of redemption will have been well worth the trip. Thank you for the opportunity to share my story, God bless. Aside | This entry was posted in Addiction, Celebrate Recovery, God's story, Jesus, my story, Recovery, The Cross and tagged positivewriter.com, writing contest, you are a writer. Bookmark the permalink.